The MCKK Old Boys Weekend or OBW for short, is an annual homecoming event for the old boys of the Malay College Kuala Kangsar (MCKK). The weekend starts on Friday and ends on Sunday at the Alma Mater whereby it is usually filled with games with the present students as well as with teachers of the College. The exodus of former students of MCKK is a tradition that started way back in March 1929 and carried on to the present days. The 1st Old Boys Weekend culminated to the formation of the Malay College Old Boys Association later in the same year. This answers the “Chicken & Egg’ question that OBW came first before MCOBA. 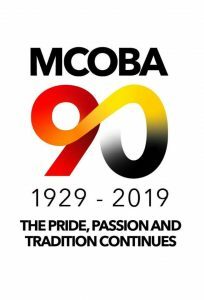 This year, the Old Boys would be celebrating 90 years of OBW and MCOBA is celebrating the 90th year of MCOBA with the tagline “The Pride, Passion and Tradition Continues”. This year’s OBW is scheduled for the weekend of 12 to 14 April 2019. The OBW is jointly organised by MCKK; the oldest Fully – residential school in Malaysia and MCOBA; probably the oldest alumni association in Malaysia. The association has about 2,900 registered member, although its activities are also opened to non- registered Old Boys members. During the OBW, apart for friendly games, there are also other activities such as career talks; blood donation; visit to the Wad Penyayang at Hospital Kuala Kangsar; a Dinner and Concert show; and other fares. The old boys thoroughly enjoy the weekend (without their families) and re-live their experiences during the school year’s years ago. They play their favourite games, eat at their favourite joints, stay at the old dormitories, and pass their times by telling old stories of their escapades, recycling old jokes etc during their times in the College. Basically searching for the memories of lost years as Raiders of the Lost Evocations. It’s good to be back and relive the life as a ‘Budak Koleq”. The OBW is also an impetus for local businesses to flourish with bigger sales as the old boys revisit their favourite shops for acquired taste of food, local handicraft and memories. As such, the OBW is a much anticipated event in Kuala Kangsar – that when the present boys and local folks would view fleets of Porsche, Audis, BMWs, Mercs, Big Bikes, expensive aerodynamics Bicycles and several new models of automobiles (not including flying cars … not yet). Yes, the old boys who came are successful businessmen; corporate big-wigs, celebrities, politicians, top civil servants; as well as many big names, small names and unsung heroes from all over the country and the world. Every year the OBW seems to attract bigger crowds. 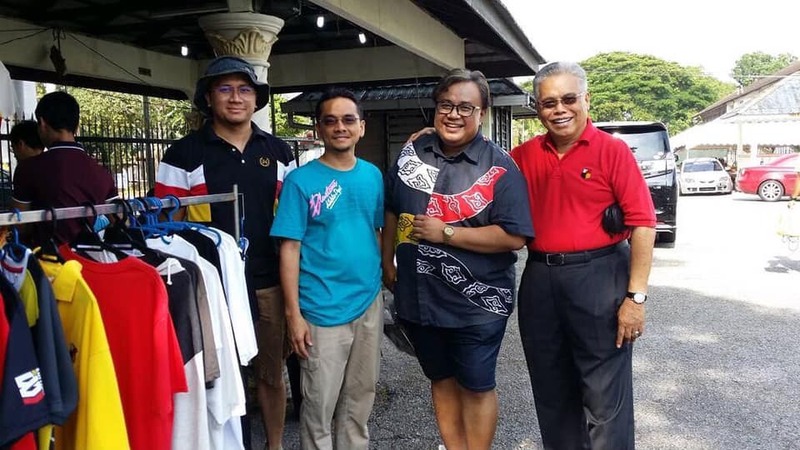 In 2004, some 550 Old Boys came and registered for the event; several others did not register but stayed with relatives around Kuala Kangsar, Ipoh or Taiping; while an unspecified number of old boys dropped by just to say hello to old friends, take selfies and buy merchandise. Enough proof that they were at Kuala for the OBW. Many made day- trips just to partake in the aura and spirit of OBW. Now with newer events like the BungWak Run and special homecoming programme like the X’s homecoming, the crowd has grown exponentially. 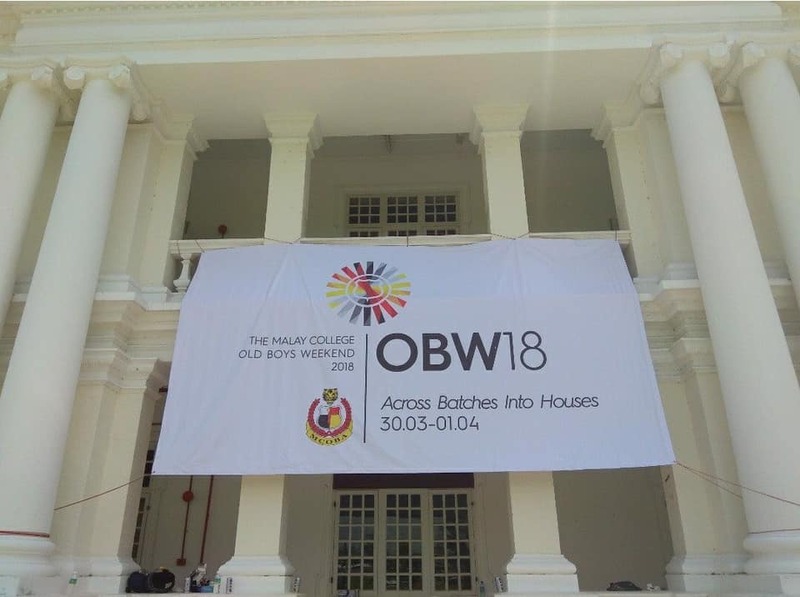 Last year, the registered Old Boys for the OBW2018 was at 672; an all – time record. It is a wonder that after their tenure in MCKK, the Old Boys wander in their thousands over the face of the earth, the illustrious and the obscure, earning beyond the lands and seas their fame, their money, or only a crust of bread; but it seems to me that for each of them going back home to MCKK must be like going to render an account or settle a score like salmons returning to their place of birth. They return to face their seniors , their juniors , their ‘kindreds’, their teachers, their friends–those whom they obey, and those whom they love; but even they who have neither, the most free, lonely, irresponsible and bereft of ties,–even those for whom home holds no dear face, no familiar voice,–even they have to meet the spirit that dwells within the land, under its sky, in its air, in its valley of Sayong and Kuala Kangsar, and on its rises at Bukit Chandan, at its tables of Yut Loy, in its playing fields, in its hallowed corridors of THE school, in its intermittent waters of Perak River and its Big Tree –a mute friend, judge, and inspirer. Old Boys Weekend is three little words, and we use it to describe a single event. But true homecoming requires more time. It seems to be a process rather than a moment. Perhaps we come home the way the earth comes home to the sun. It could be that homecoming is always a return and our understanding of MCKK and brotherhood deepens with each encounter. As truth be told, OBW homecoming never gets old , though this year OBW is 90 years old.